The term "laser" represents the "light amplification by stimulated emission of radiation ". Laser is the light that is amplified by absorbing radiation energy. 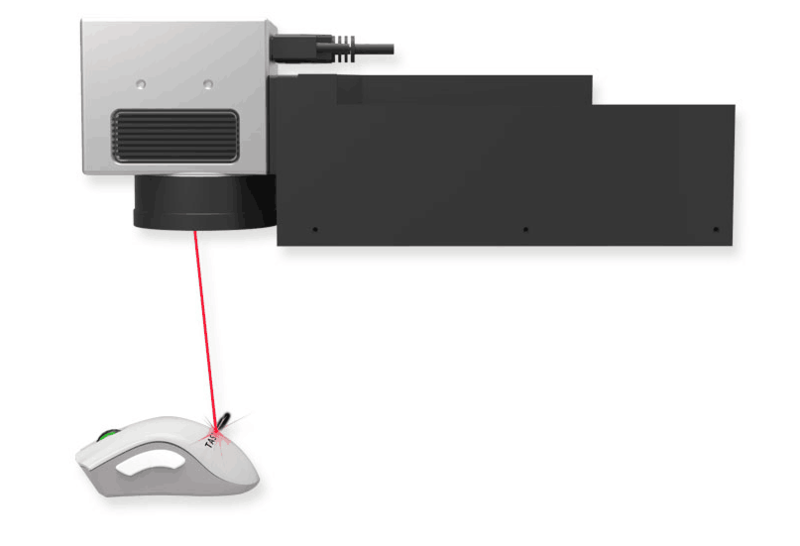 Laser radiation is generated by laser sources. High-density energy stimulates crystal rods (solid state laser) or special gas mixtures (gas laser) to produce laser radiation. This energy is supplied by ray of light (flash light or diode laser) or in the form of electric discharge (equivalent to fluorescent lamp). A crystal rod or laser activated gas is located between two mirrors, forming a laser resonator, which leads the laser to a specific direction and amplifies the optical signal in this way. The laser passes through the light transmitting mirror partially with a proportional portion, and it is used for material processing. The pumping source supplies the laser with external energy. The medium is located inside the laser, depending on different laser structure design. The laser medium may be gas mixture (CO2 laser), crystal rod (YAG solid laser) or glass fiber (optical fiber laser). The laser medium is stimulated to generate energy radiation when the energy supply of external pump source is obtained. The medium is located in the middle of the two mirrors at both ends of the resonant cavity, one of which is a one-way lens (semi-reflective mirror), and the energy radiation produced by the medium is magnified in the resonant cavity. At the same time, only a specific radiant light can pass through the one-way lens to form a radiation beam. This radiation beam is laser. 1、Unicity: Laser radiation contains light of only one particular wavelength. 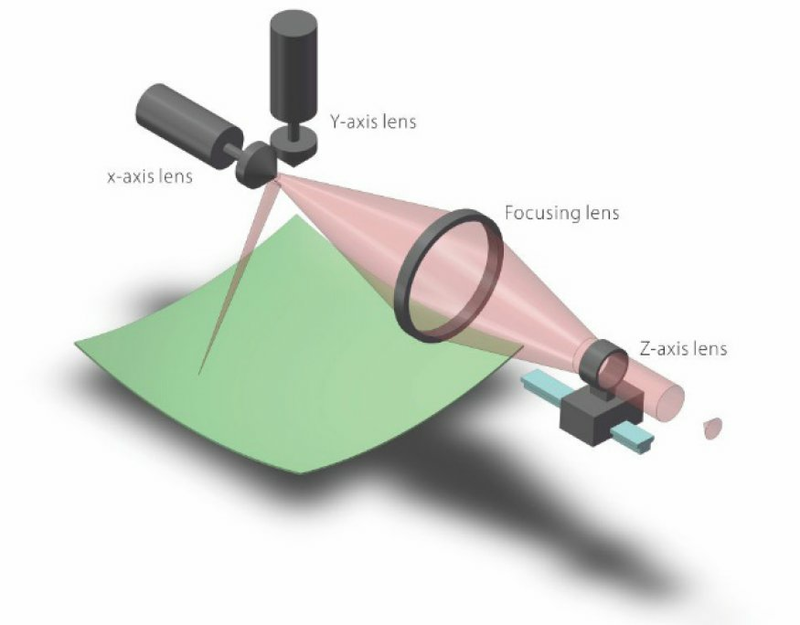 The laser is highly parallel before passing the focusing lens. In the focal length of the laser beam, very high energy intensity will be generated, which can be used for melting or evaporating materials. In addition, the use of suitable optical elements (lenses) can guide and reflect the laser, and there will be no loss even at long distance. The positioning system (laser pointer) or galvanometer scanner are used as mobile systems. Since the laser beam will not be passivated, it is a versatile and non-abrasive tool. 3D laser marking is a laser surface depression processing method. Compared with the traditional 2D laser marking, the requirement of 3D marking on surface roughness of the machined object has been greatly reduced, but the processing effect is more colorful, and more creative processing technology comes into being. 3D laser marking technology is flourishing and has attracted a lot of attention in the industry. Some industry enterprises with forward-looking vision are also accelerating the research and development of 3D laser marking products. In the next few years, laser marking will gradually shift from 2D to 3D, and 3D laser marking will go deep into all areas of people's lives. High energy density laser is used to irradiate the work piece locally, to make the surface material vaporize or have chemical reaction that changes the color, thus leaving permanent marks. Laser marking can mark various words, symbols and patterns, and the characters can even reach micron scale. 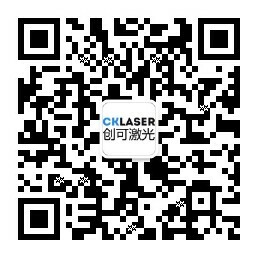 Laser beam used for laser marking is produced by laser. After a series of optical transmission and processing, the laser beam is finally focused by optical lens. Then the high energy beam after focusing is transferred to the specified position on the surface of the object to be processed to form a depressed permanent mark. 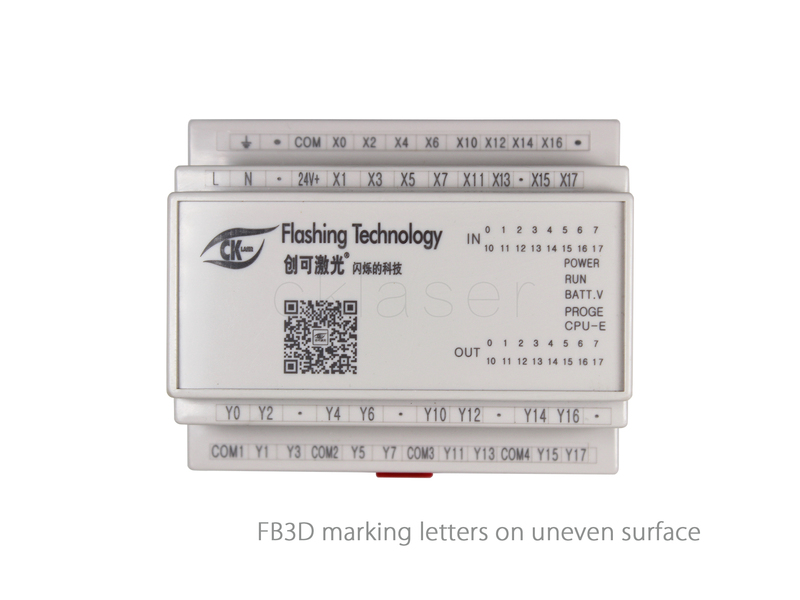 The traditional 2D laser marking uses the rear focusing mode, which is generally used for plane marking in the specified range. The advent of the new 3D laser marking machine has solved the long-time inherent defect of the 2D laser marking machine. It uses the advanced front focusing mode, adds dynamic focusing seat, adopts the principles of optics and the working principle of candle imaging, and conducts variable beam expansion before the laser is focused through the software control and the moving dynamic focusing mirror. In this way, the focal length of the laser beam is changed to achieve accurate surface focusing and processing of different objects. 3D marking uses the front focusing optical mode and uses a larger X and Y axis to deflect the lens. Therefore, it allows the transmitted laser spot to be larger. The focusing precision is better, and the energy effect is better. If 3D marking is done with the same focusing accuracy as 2D marking, the marking range can be larger. As long as the shape of the work piece is set in advance, it can correspond to the focal length, engraving position and shape the change of different products only by switching settings. The marking can be completed without moving the parts or laser for many times. 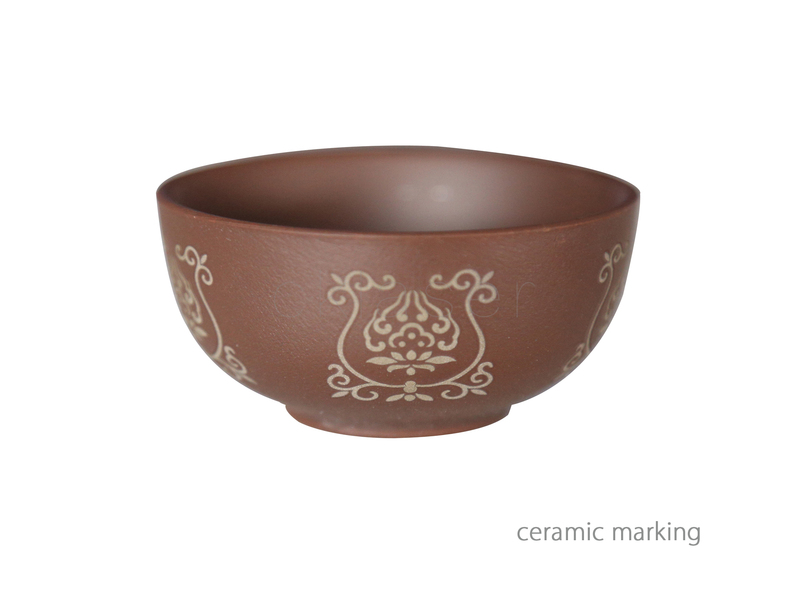 The traditional 2D marking has inherent defects in deep engraving on the surface of the object. With the upper shift of the laser focus in the process of engraving, the laser energy that acts on the actual surface of the object will drop sharply, which seriously affects the effect and efficiency of deep engraving. 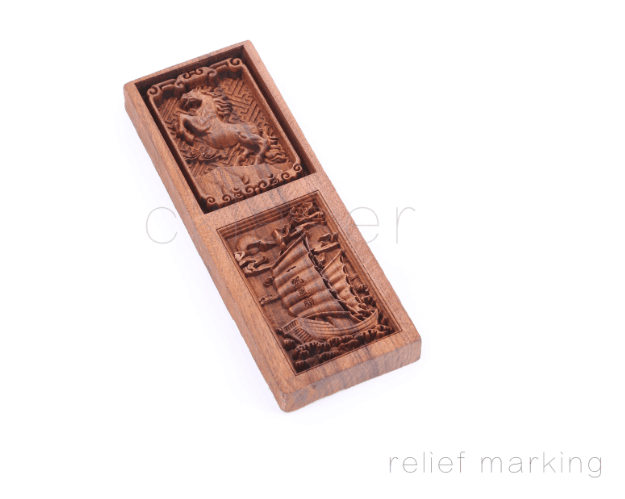 The traditional deep engraving uses electric mode. During the engraving process, the lifting platform is moved a certain height at regular intervals to ensure that the laser surface is focused well. There is no such problem in the deep engraving of 3D marking, which not only guarantees the effect, but also improves the efficiency and saves the cost of electric lifting platform. In the current traditional 2D marking mode, the work piece must be placed on the same plane, and the machining surface must be on the same plane to achieve one-time marking . Using the characteristics of 3D laser marking machine, it can achieve one-time marking in the case of drop in height of the work piece. Even on inclined slope, it can also keep the consistency of processing, so that the processing content is not deformed and the color difference is not formed. It greatly facilitates the engraving of the work piece of three-dimensional structure, reduces the technological process and improves the efficiency of marking. Because 3D marking can rapidly change the focal length of laser and the position of laser beam, curved surface marking, which cannot be achieved in the past by 2D laser marking machine, becomes possible. After using 3D, the cylindrical marking in a certain radian it can be completed once, which greatly improves the processing efficiency. Furthermore, in real life, the surface shape of many components is irregular, and the surface height difference of some components is quite large. 2D marking processing is really powerless. Presently, the advantages of 3D marking will be even more obvious. On the same plane, black and white marking and even multicolor marking can be achieved, and the effect is more abundant. The general metal surface is marked black, such as anodized aluminum. High frequency pulse is usually used under appropriate energy, and the marking is carried out under certain defocus condition. The defocus distance affects the energy distribution and color effect of the laser on the surface of the material obviously. For the general 2D marking users, even without the advanced features such as surface marking, it is also very meaningful for 3D marking machine to carry out plane processing with multi-gray and multi-color effect. 3D laser marking machine adopts imported core device, and is configured with high speed and high precision 3D vibrating mirror. Combining with the 3D special software and control system independently developed by our company, realizes refined processing of the work piece on arbitrary surface perfectly, without out-of-focus phenomenon; and it can also trace the focus of deep carving in real time, so that the processing efficiency and quality are better than the traditional 2D marking machine. It is suitable for the marking and deep carving of any metal (including rare metals), engineering plastics, electroplating materials, coating materials, spraying materials, plastic rubber, epoxy resin and other materials. It can be widely used in mobile phone keys, plastic transparent keys, electronic components, integrated circuits (IC), electrical appliances, communication products, sanitary ware, tool accessories, cutters, glasses and clocks, jewelry, automobile accessories, box and bag fasteners, cookers, stainless steel products and other industries. At present, due to the need for the appearance and practicality of products in most industries, more and more space surfaces appear in product design, and the demand for 3D laser marking machine will also increase. 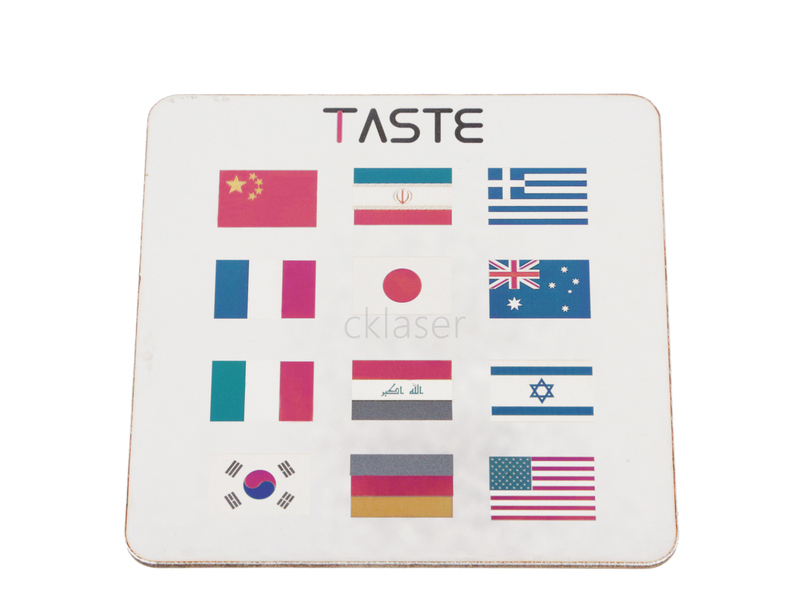 It is believed that 3D laser marking machine will become the mainstream product in the market in the future, and the 3D marking function will be fully realized in a real sense, leading laser processing into a new era.